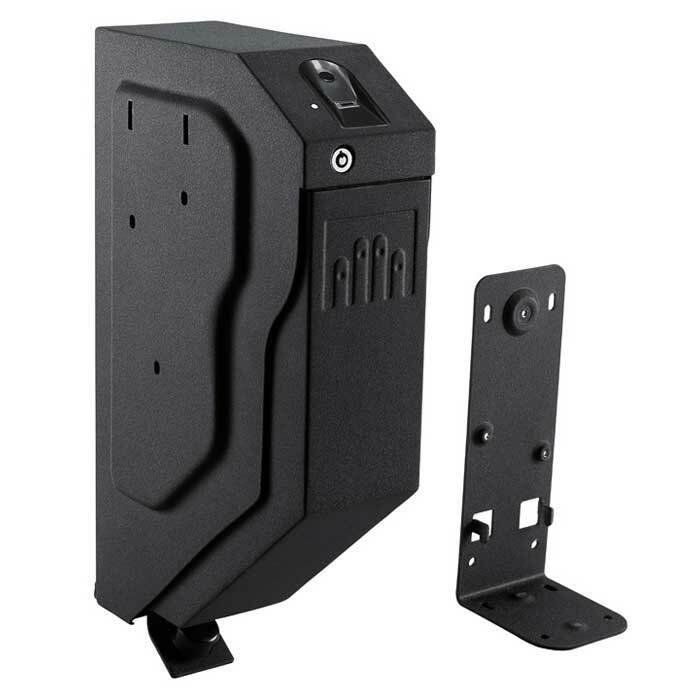 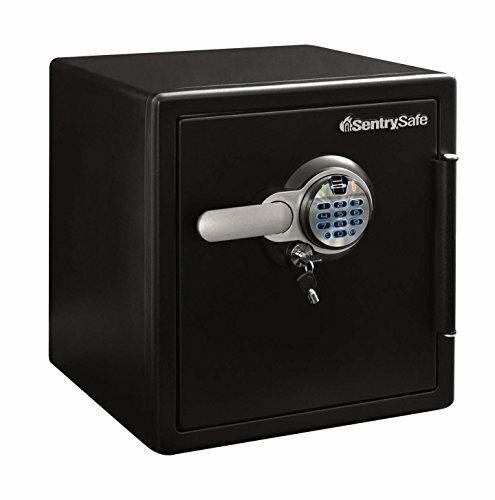 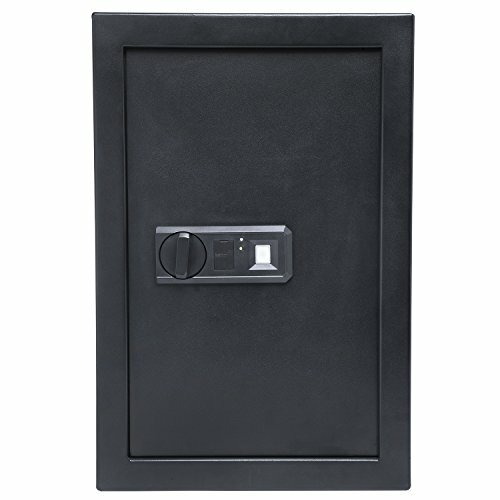 OPENS IN THREE WAYS TO GIVE YOU RELIABLE BACKUP OPTIONS - The smart home security safe is designed with you in mind and gives you 3 different ways to open the safe, just in case one fails. 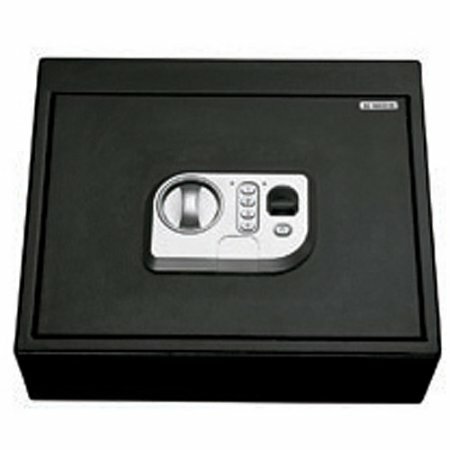 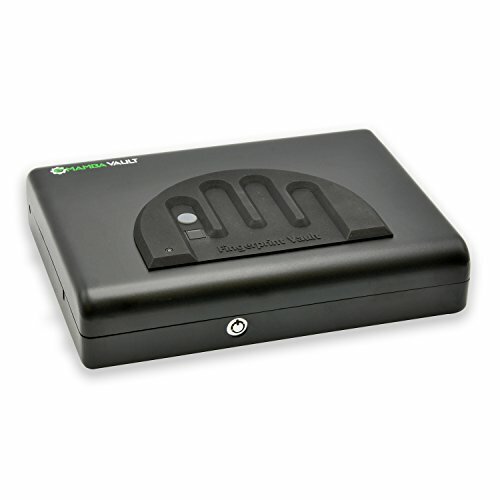 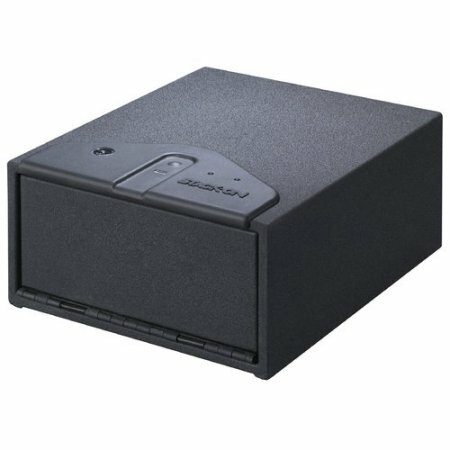 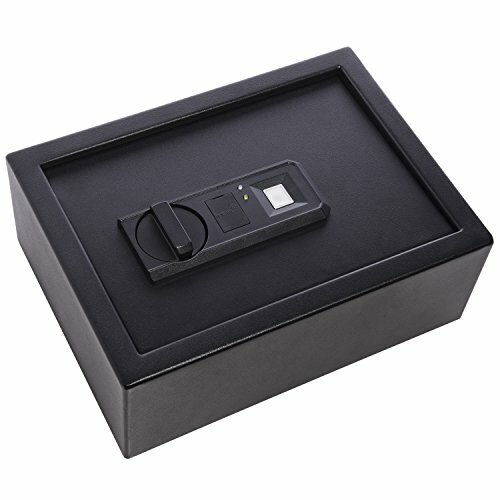 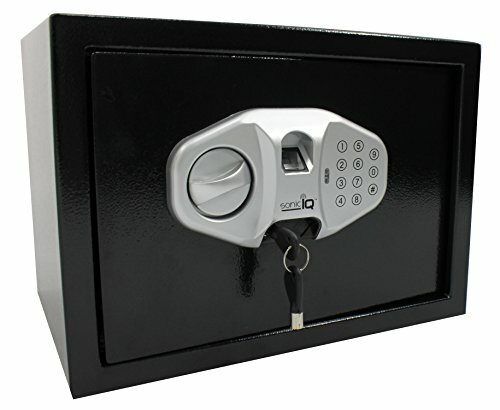 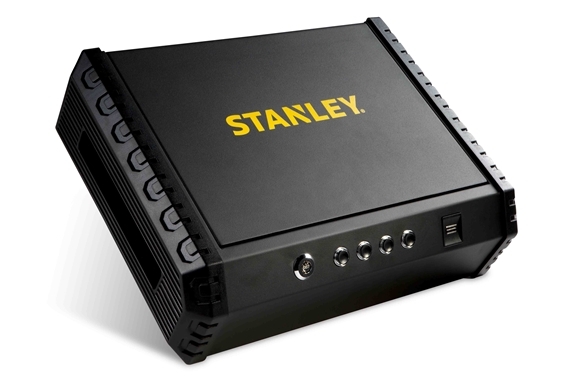 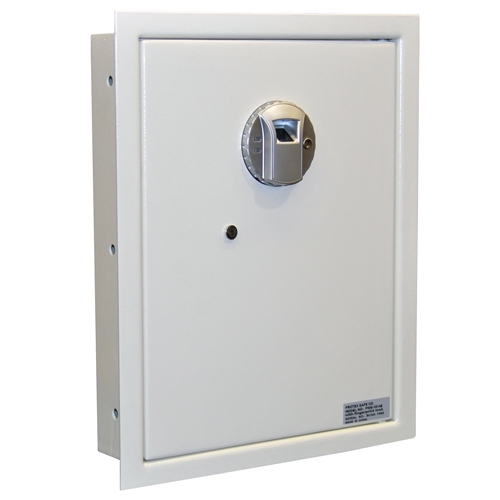 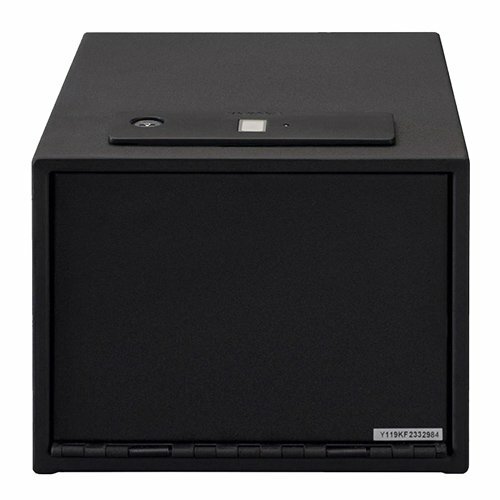 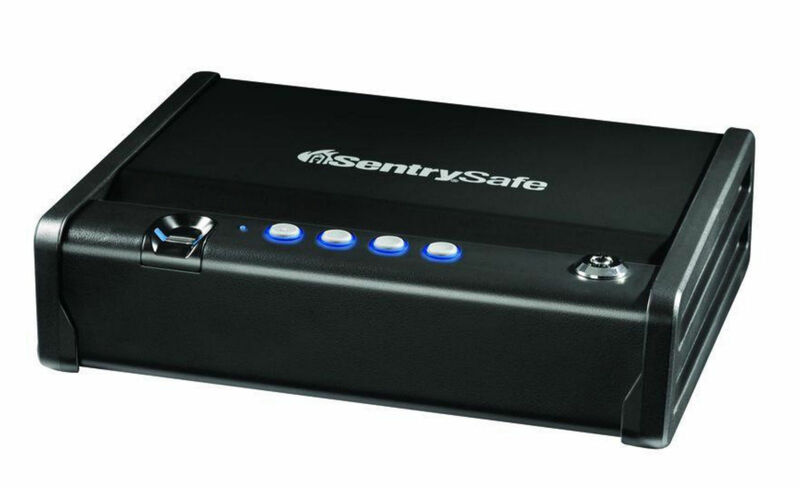 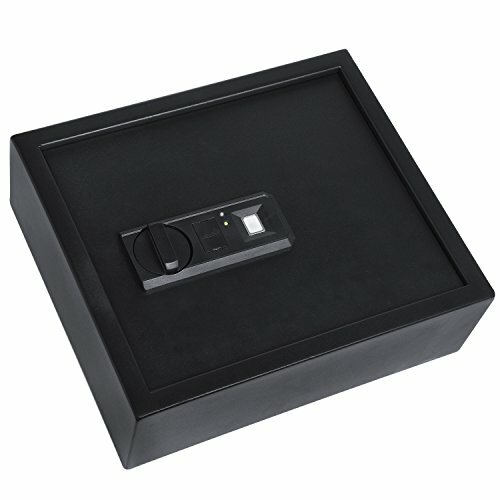 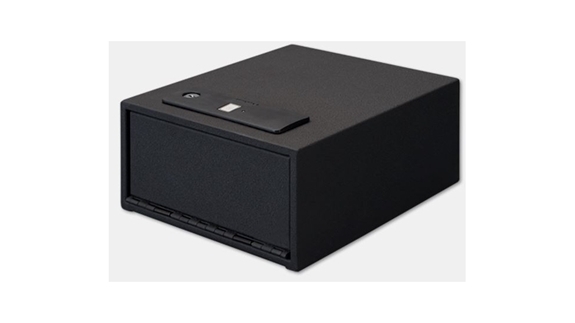 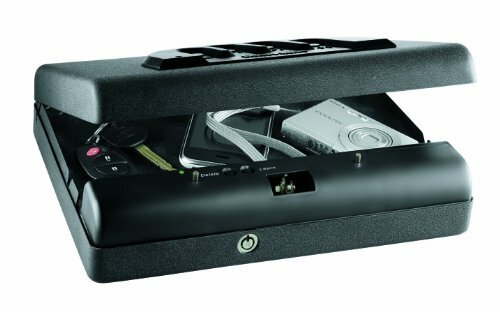 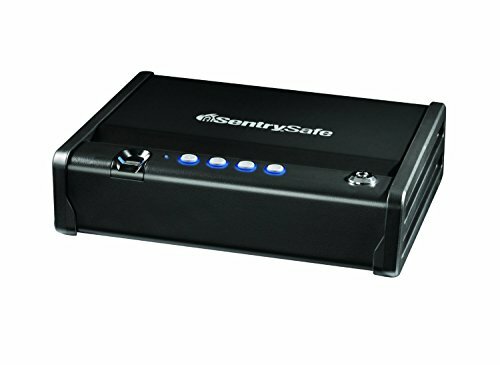 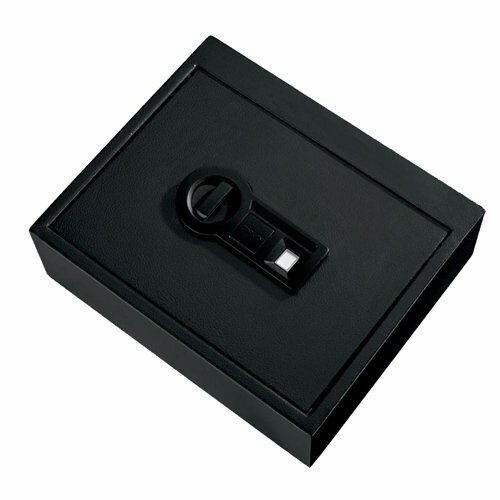 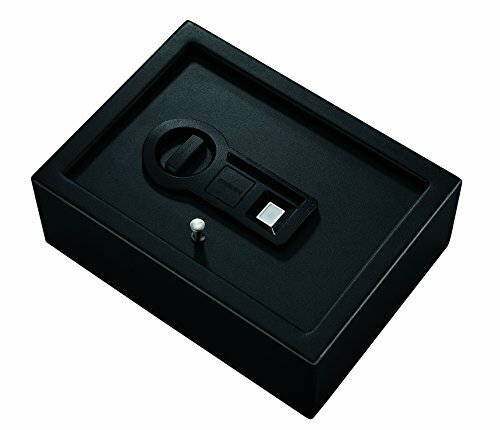 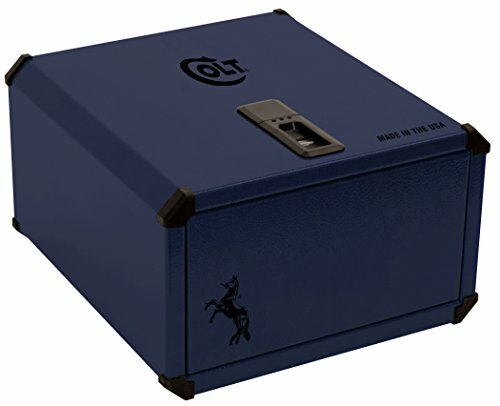 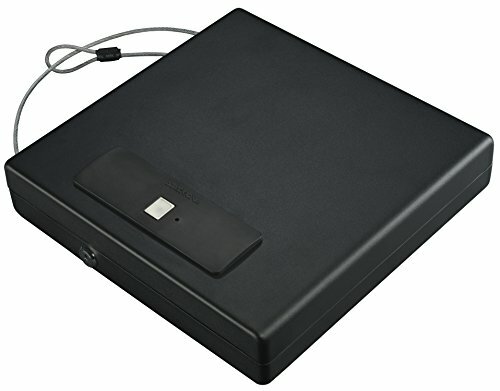 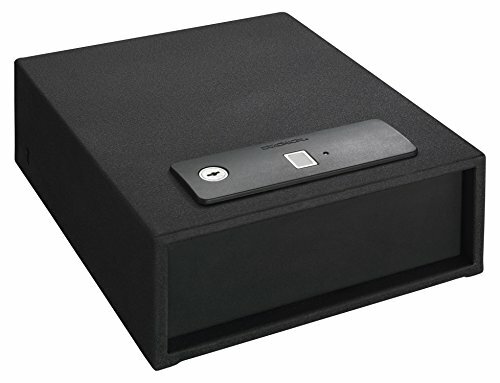 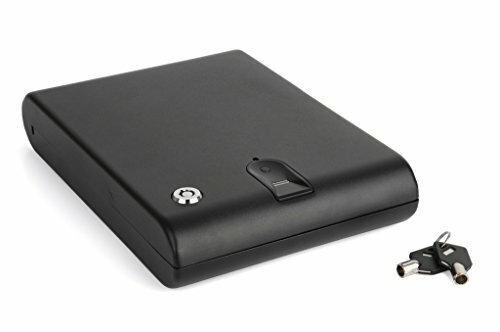 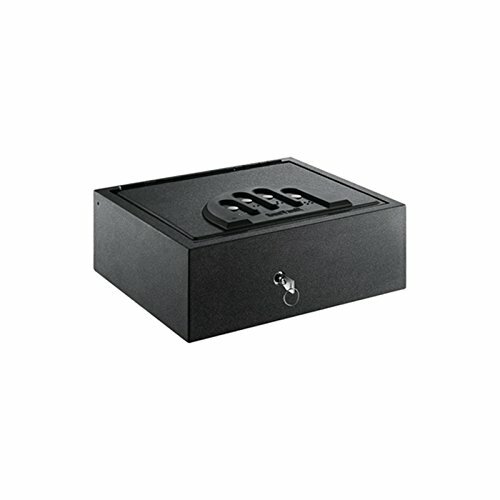 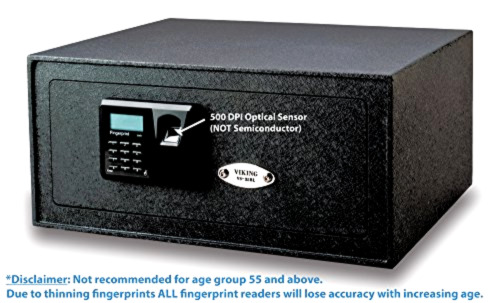 The programable home safe box opened by biometric fingerprint scanning by the optical sensor that can store and accept upto 32 different fingerprints so that more than one person can access it if necessary, or by electronic digital number lock codes, or by traditional lock and key (2 keys included). 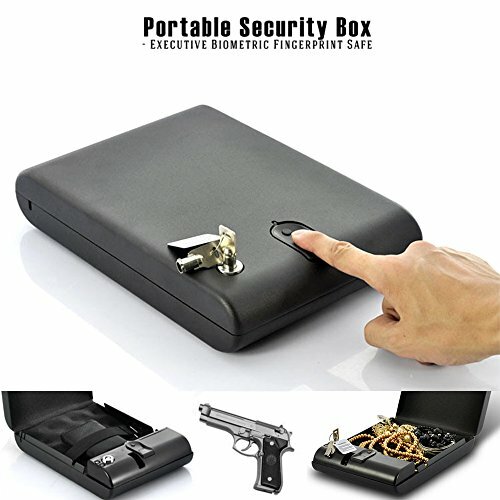 SAFETY AND SECURITY FROM BURGLARS AT HOME, OFFICE, HOTEL ROOM - Feel safer and more secure at your house, office work place, for personal or commercial use, hotel room when you travel by keeping your valuables, cash, money, papers, manuscripts, documents, deeds, wills, and more in a safe place under lock and key in the compact electronic digital combination biometric security safes that is one of the best investments for your privacy you can make. 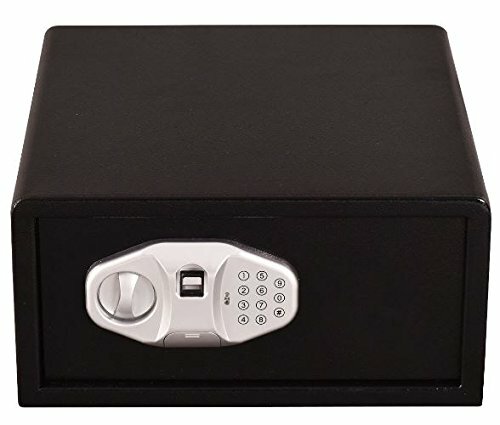 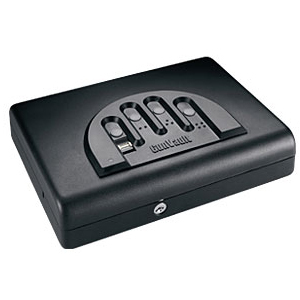 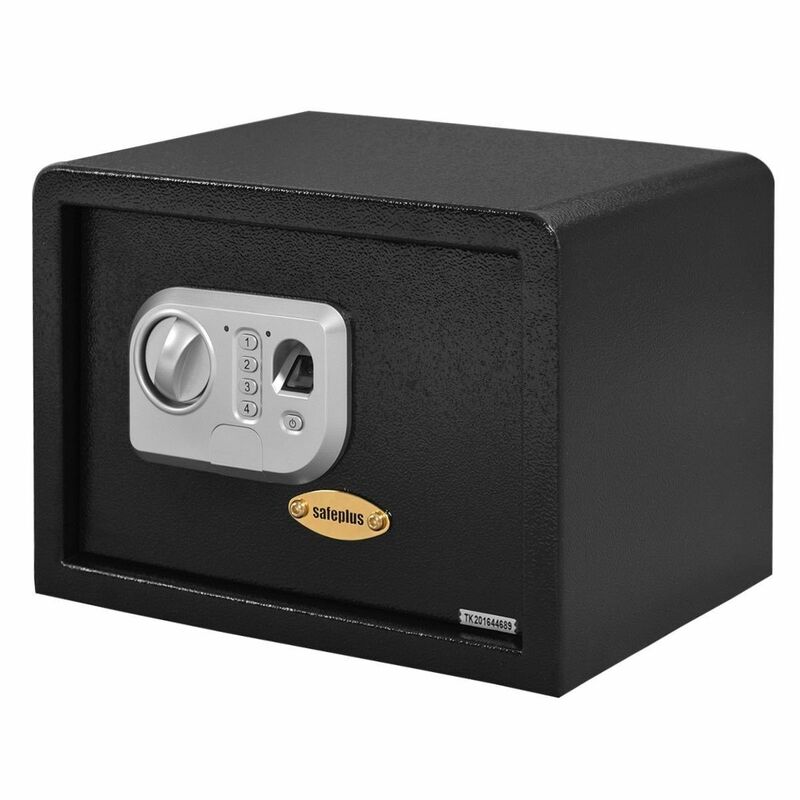 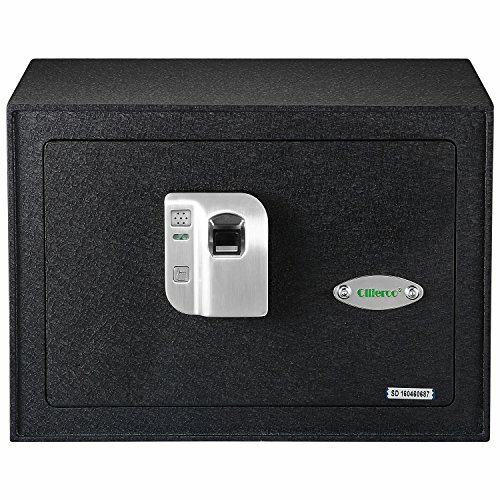 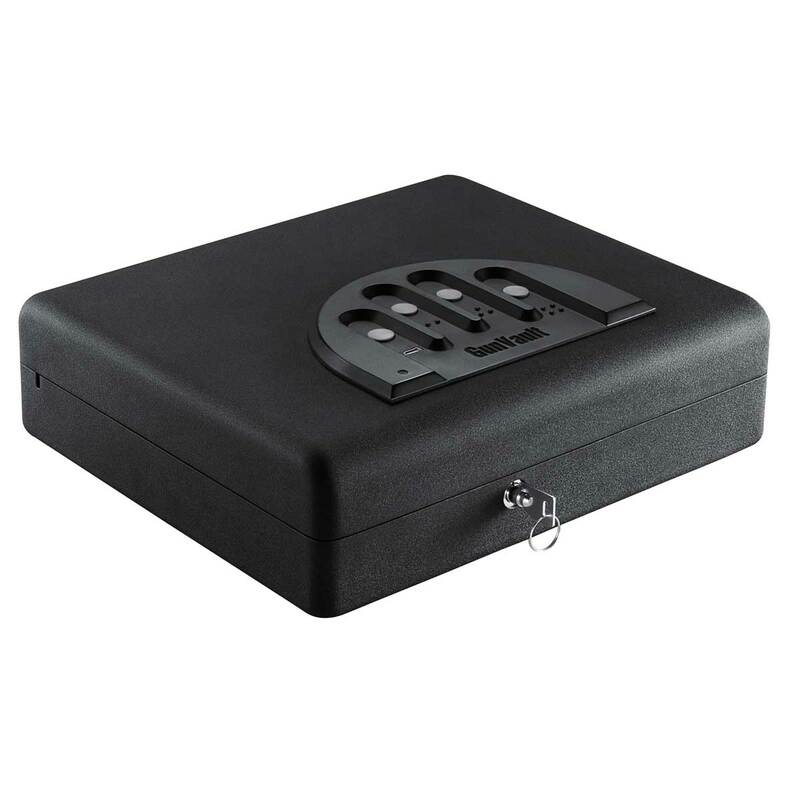 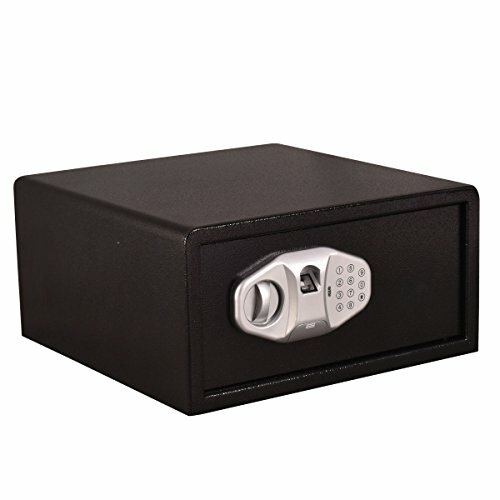 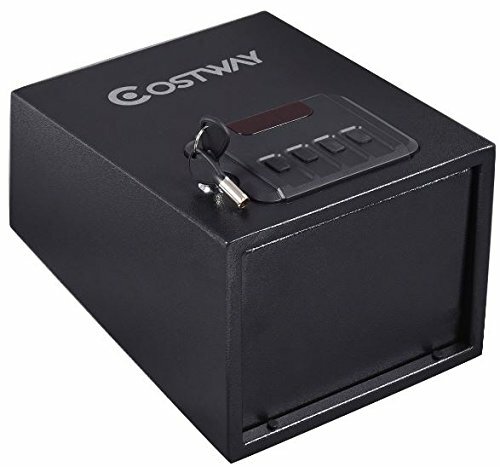 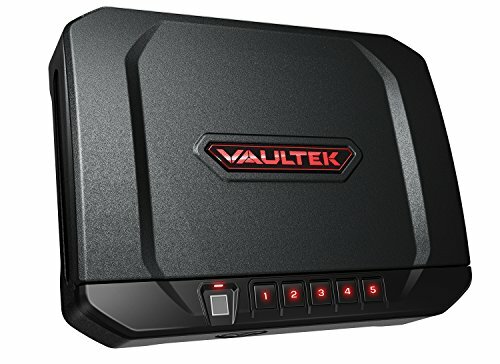 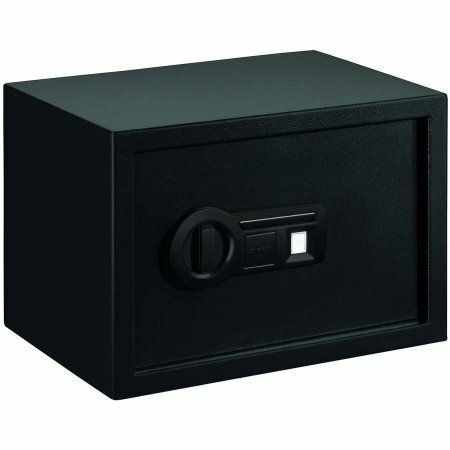 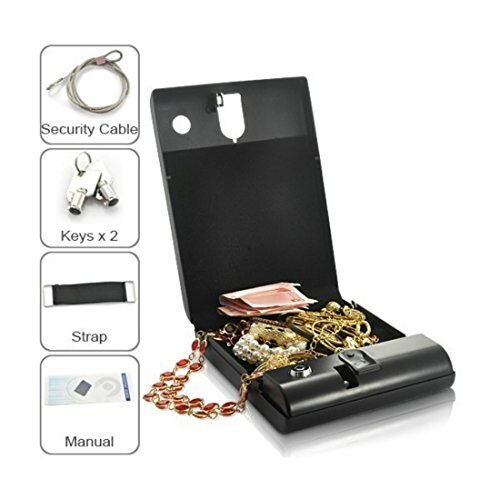 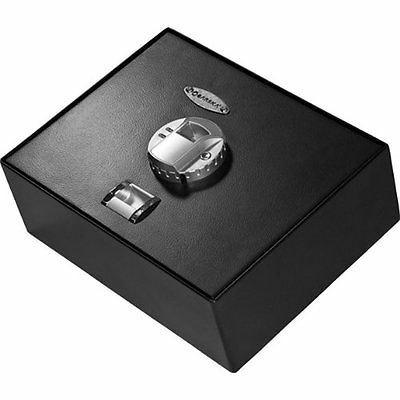 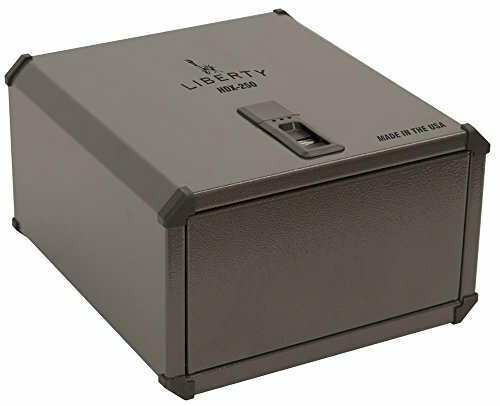 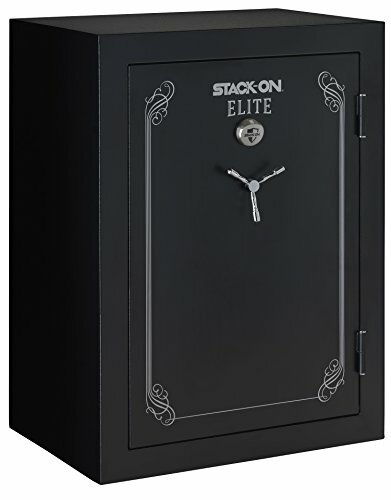 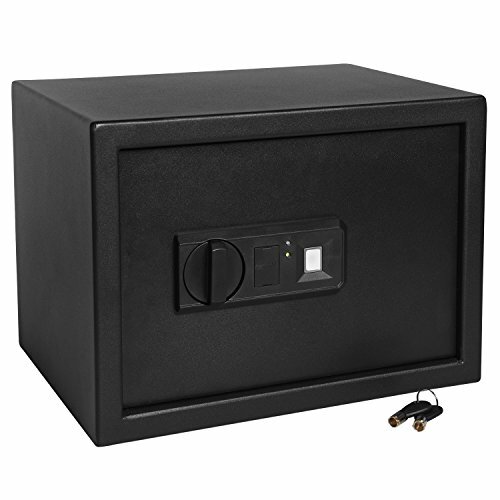 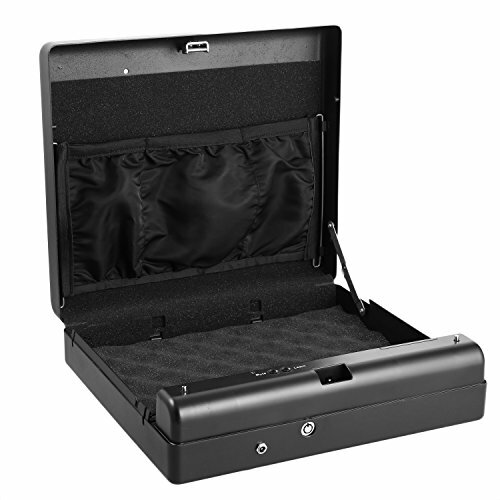 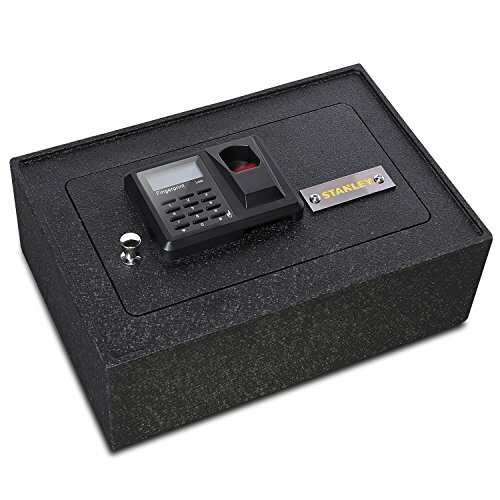 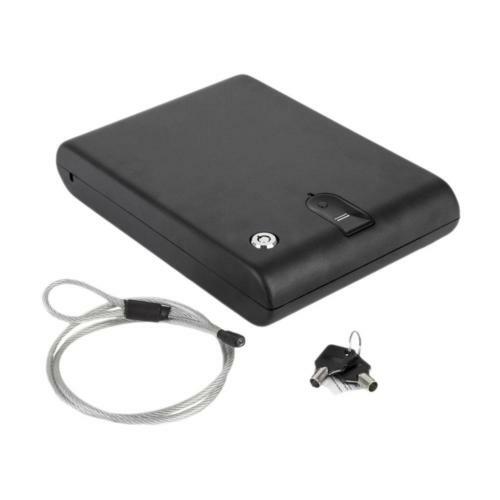 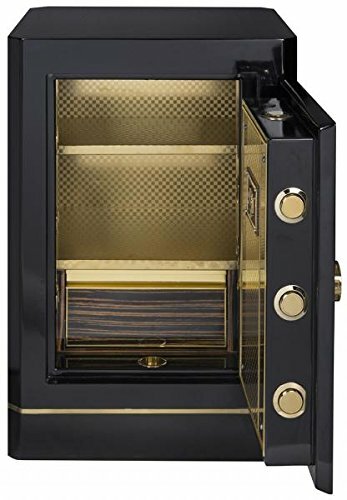 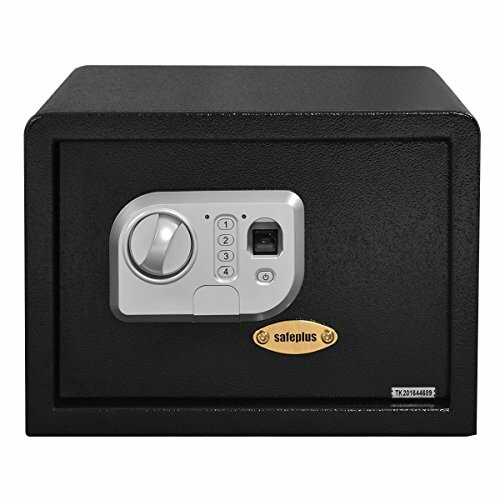 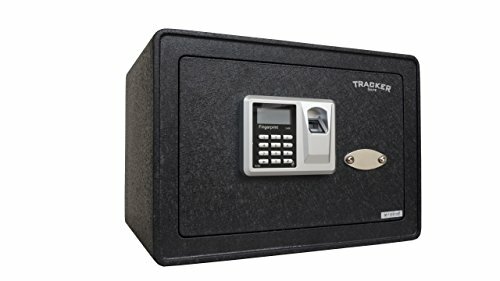 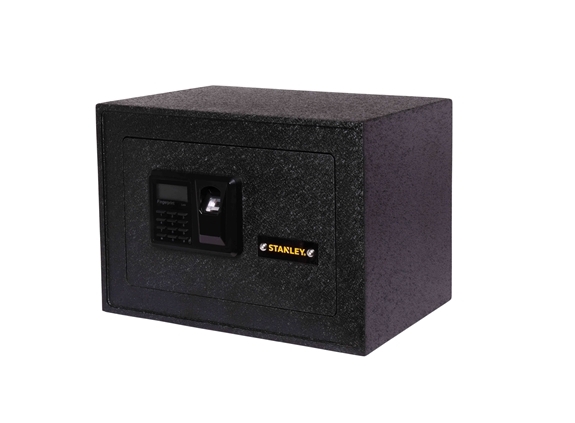 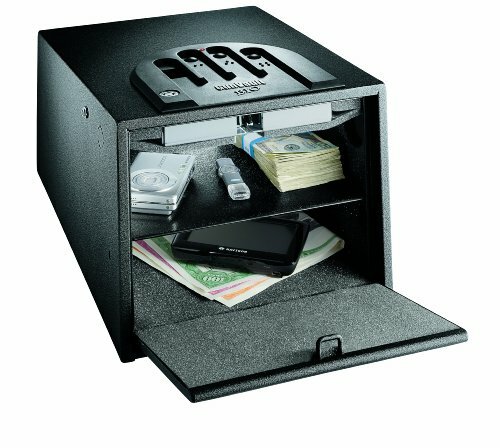 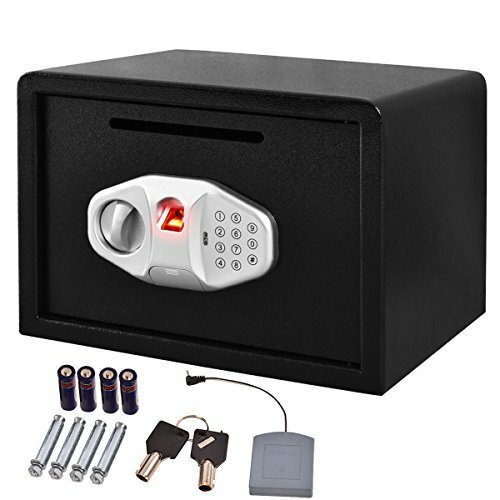 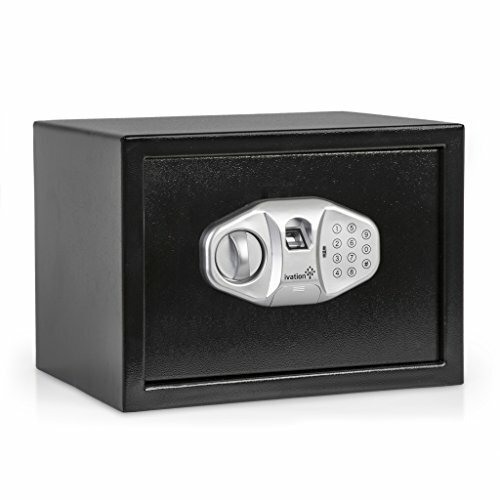 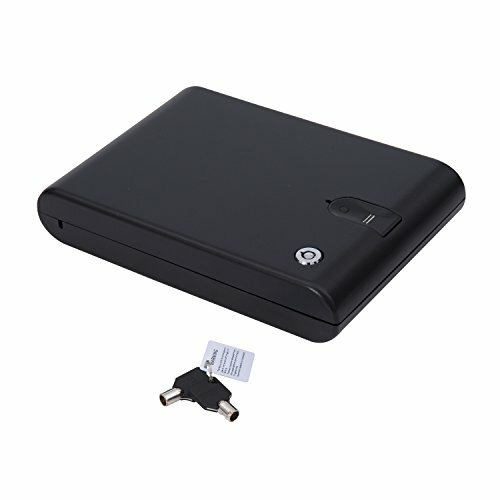 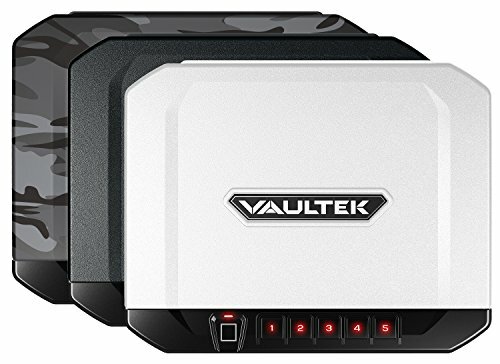 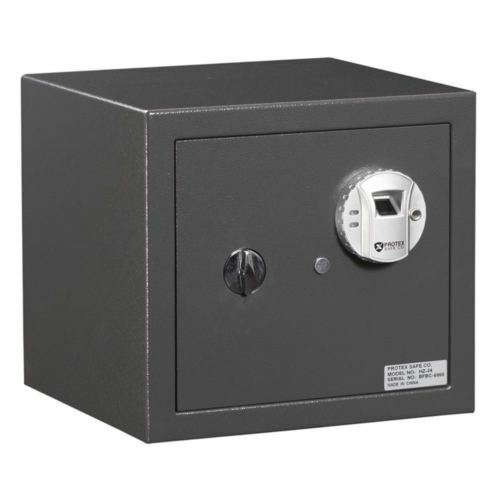 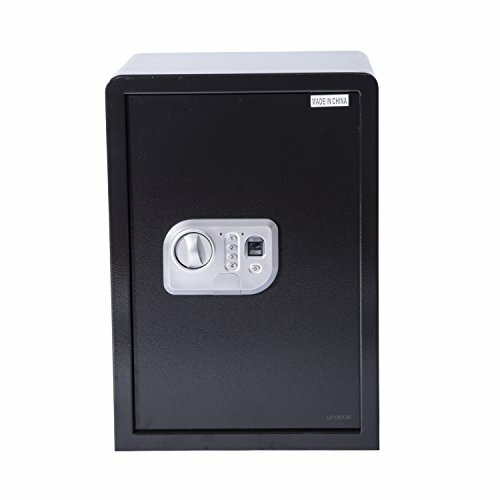 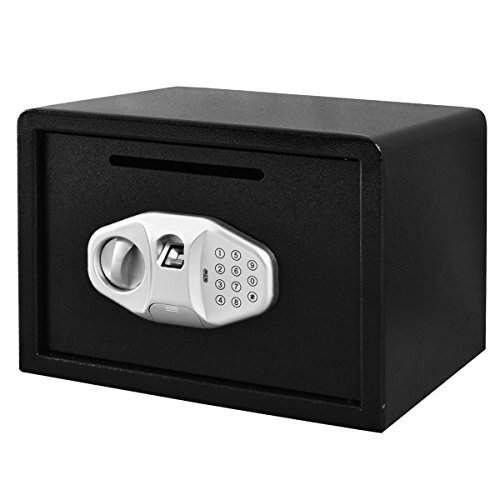 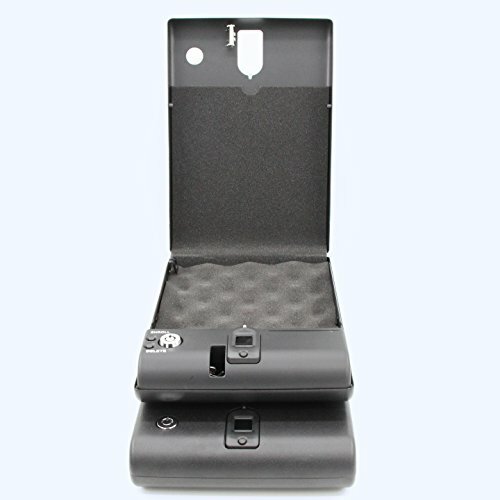 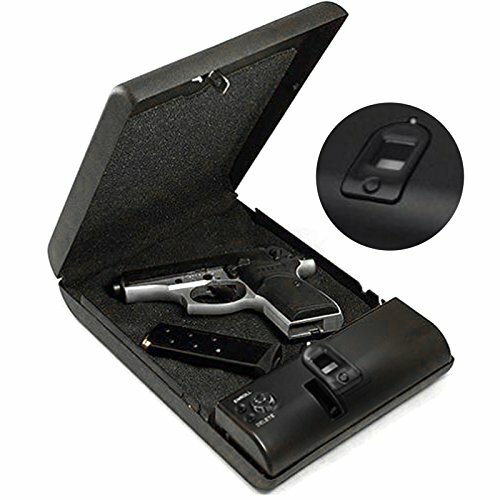 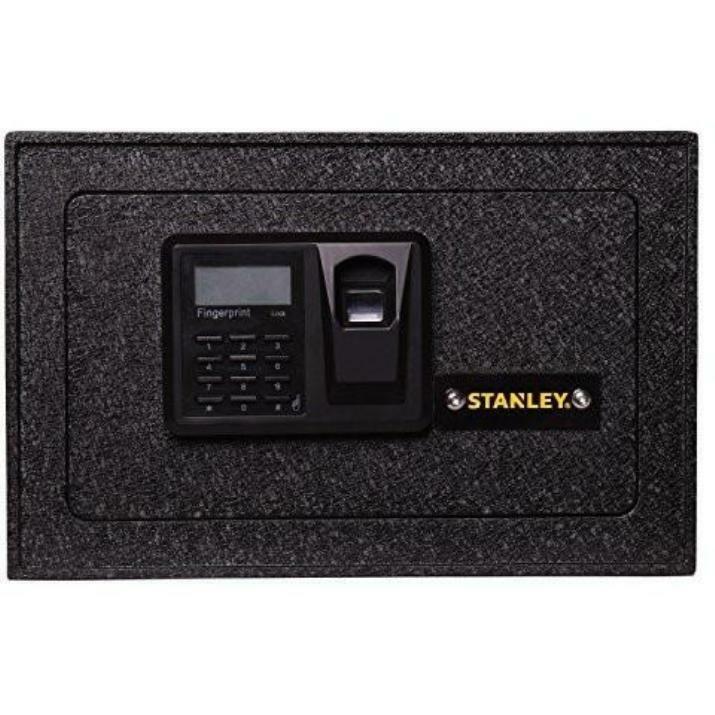 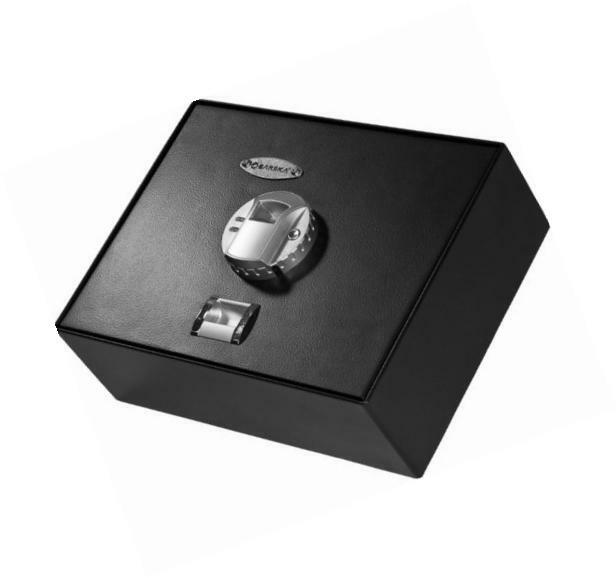 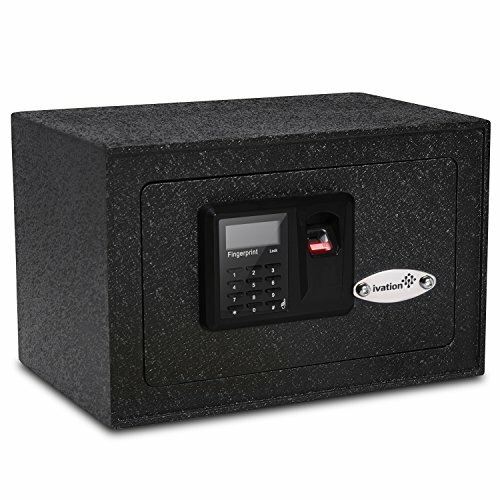 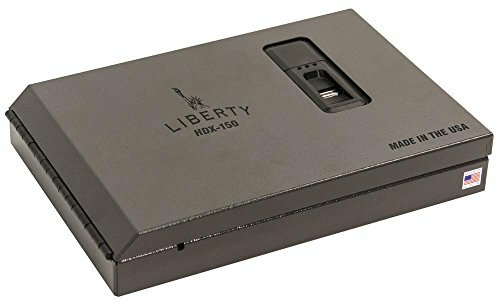 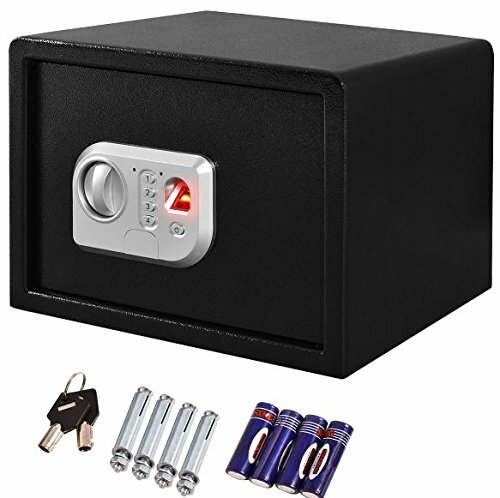 PORTABLE AND COMPACT TO BE HIDDEN ANYWHERE AWAY FROM SIGHT - The digital combination lock biometric multipurpose cash, jewelry, money, jewels, gun safe box is small, lightweight to be carried anywhere and stored or hidden. 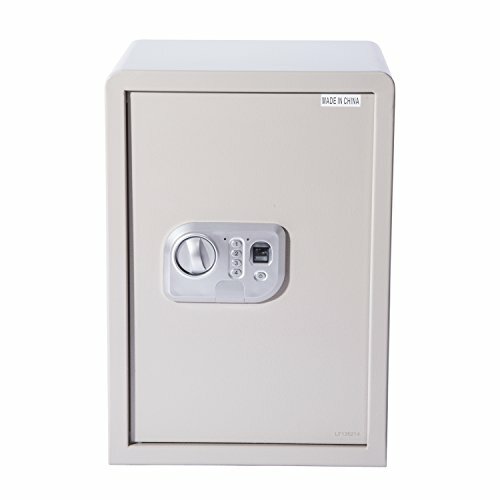 Compact for college kids for use in a dorm room. 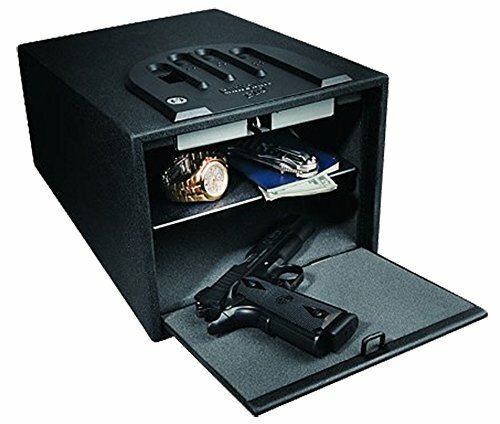 Use and hide it from burglars and thieves at home in any room, attic, basement, behind stairs, stairwell, or even in a car trunk if you have to. 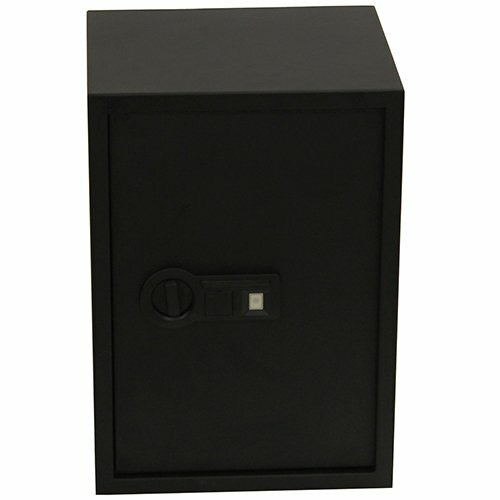 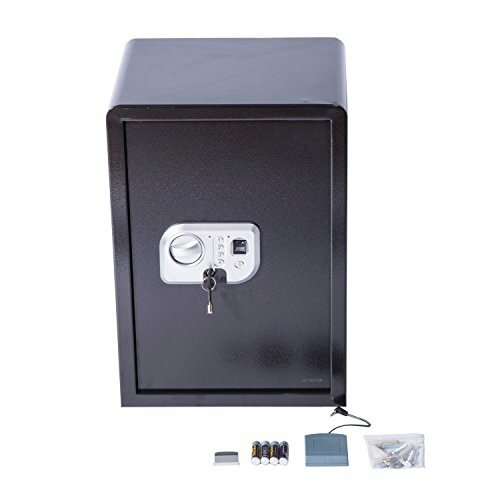 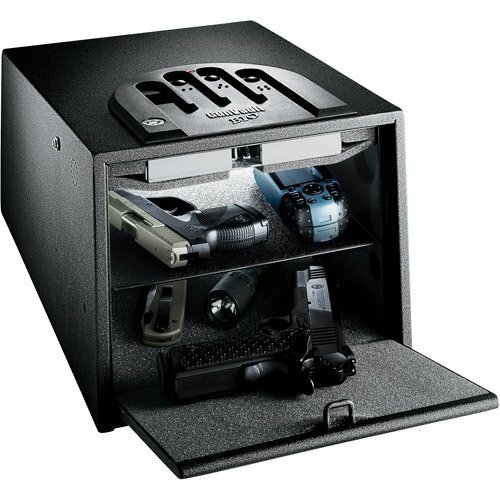 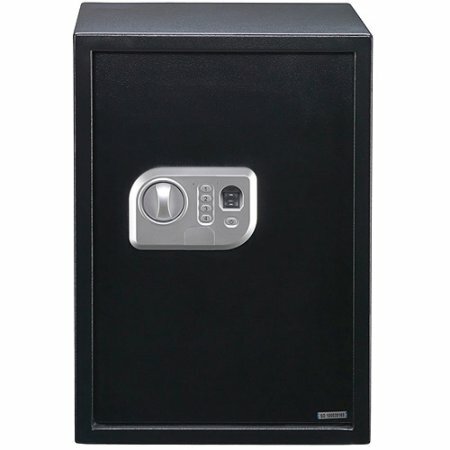 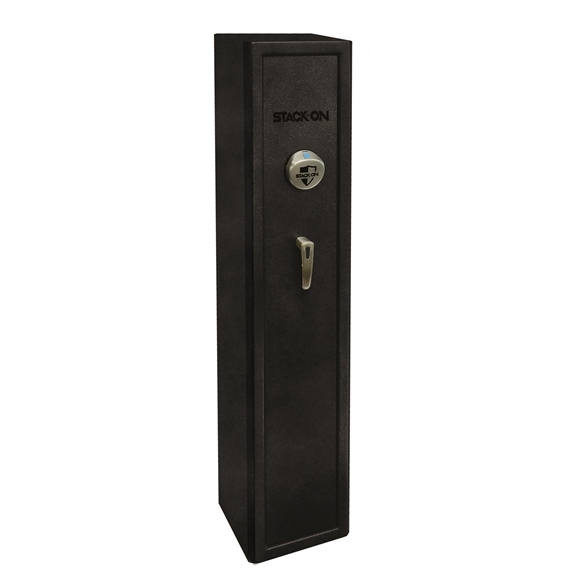 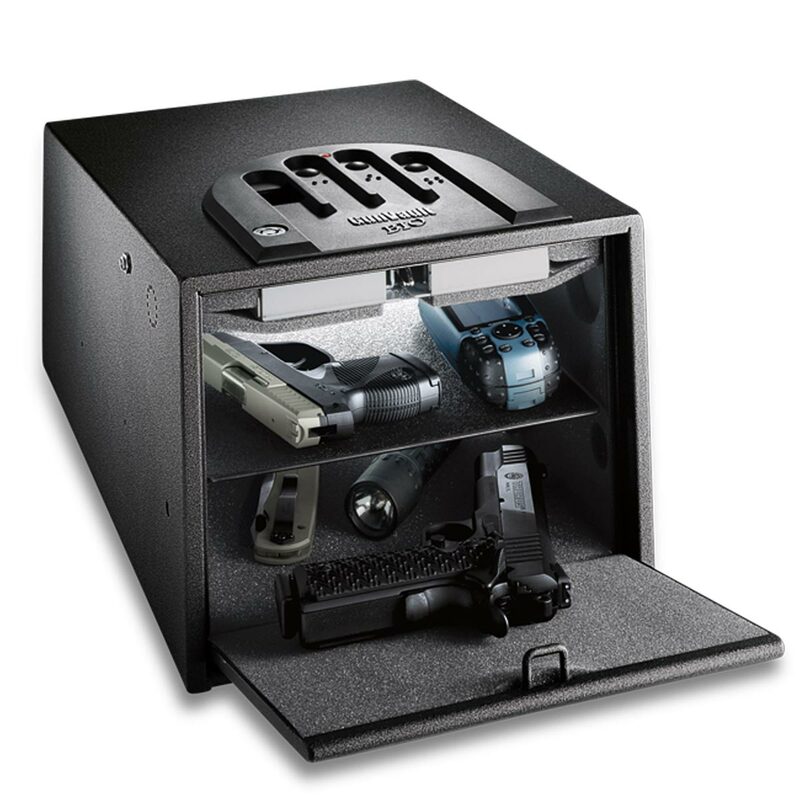 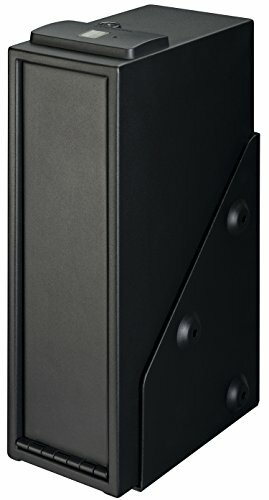 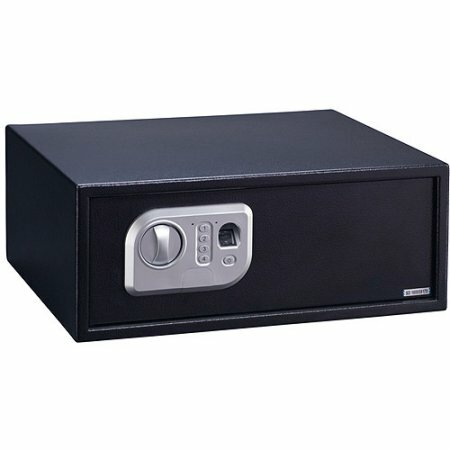 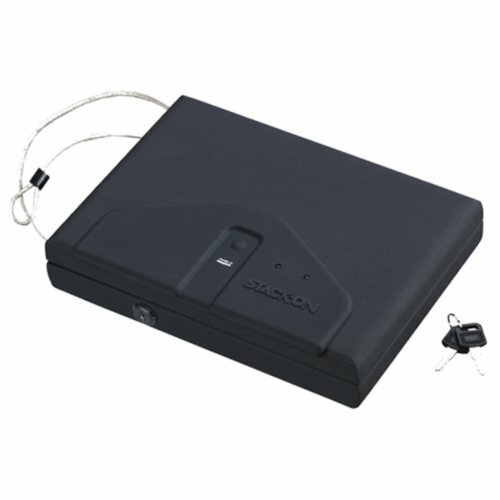 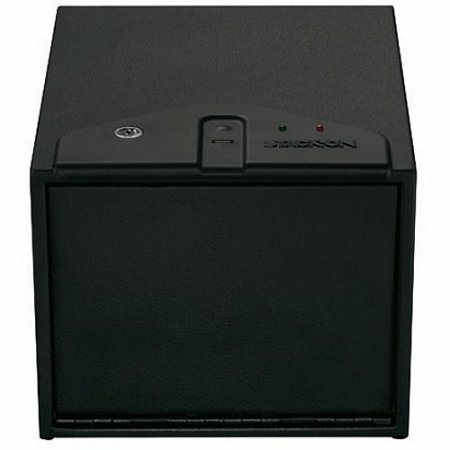 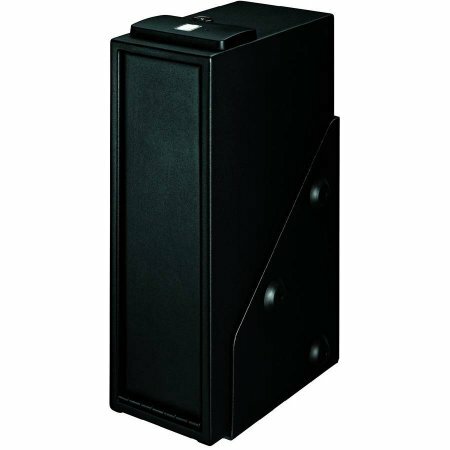 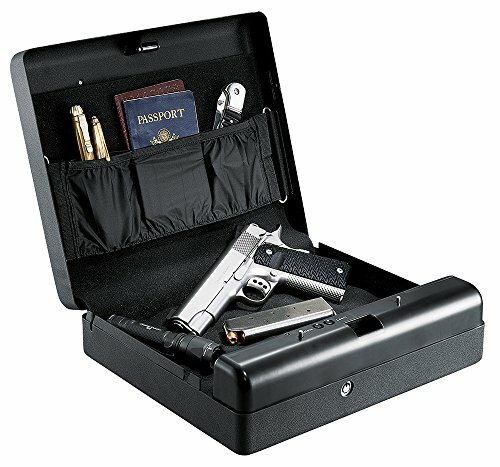 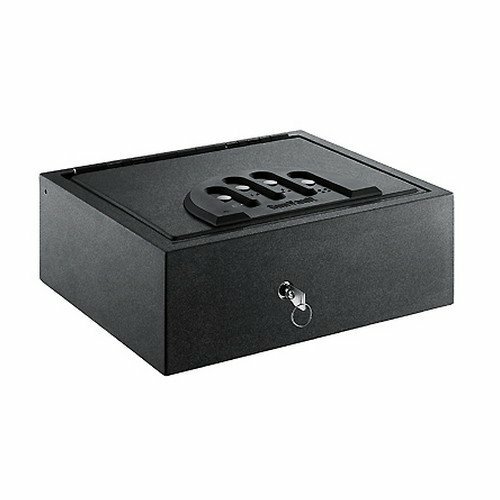 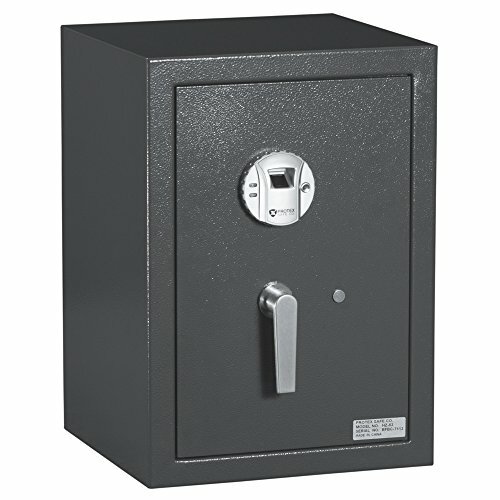 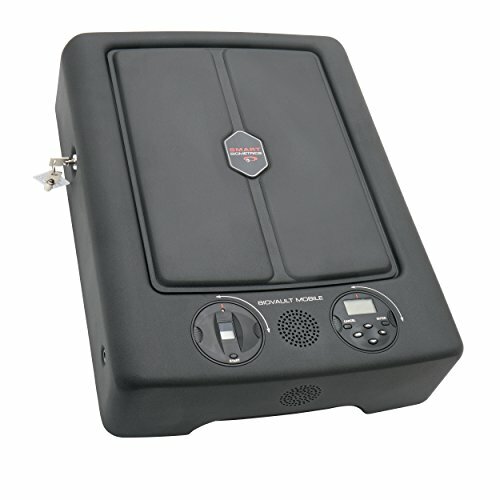 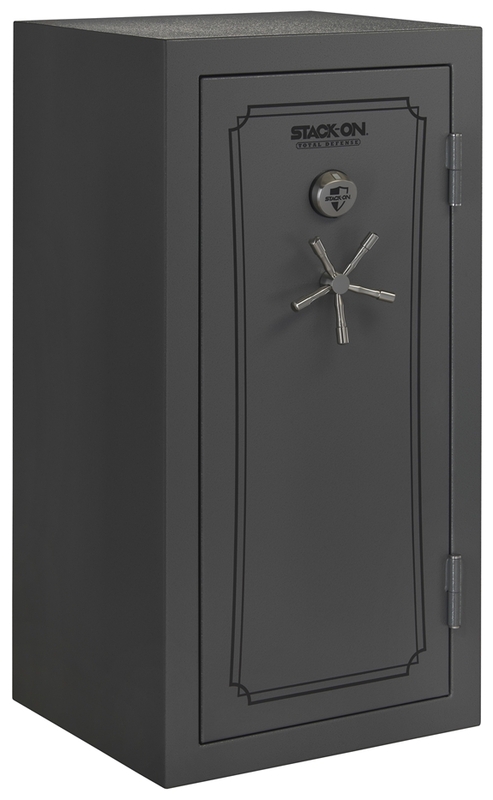 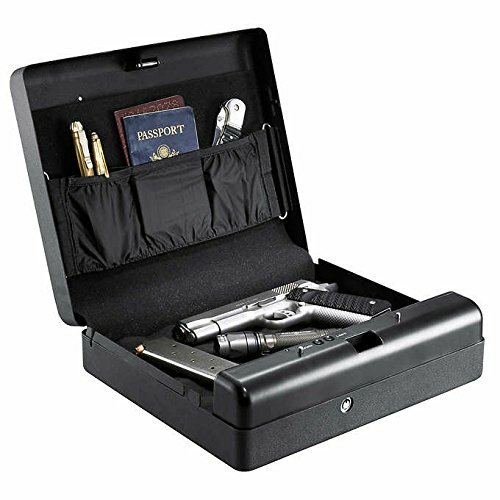 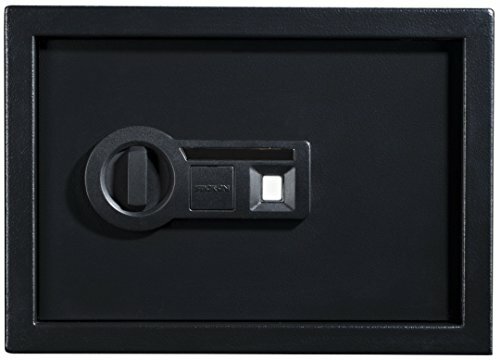 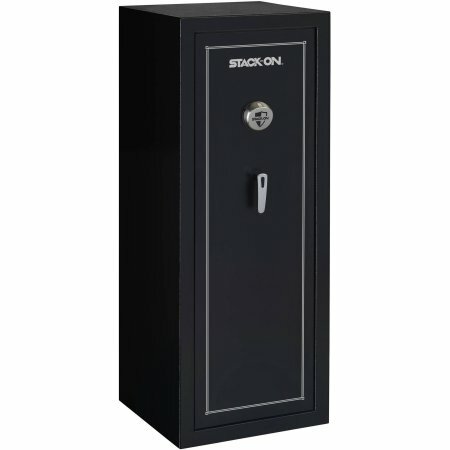 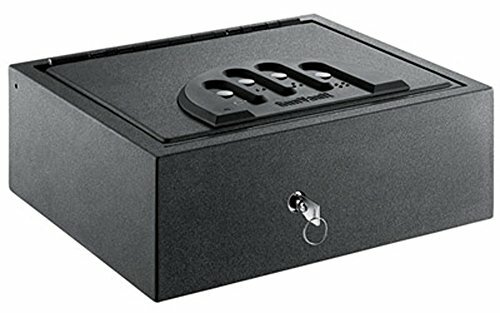 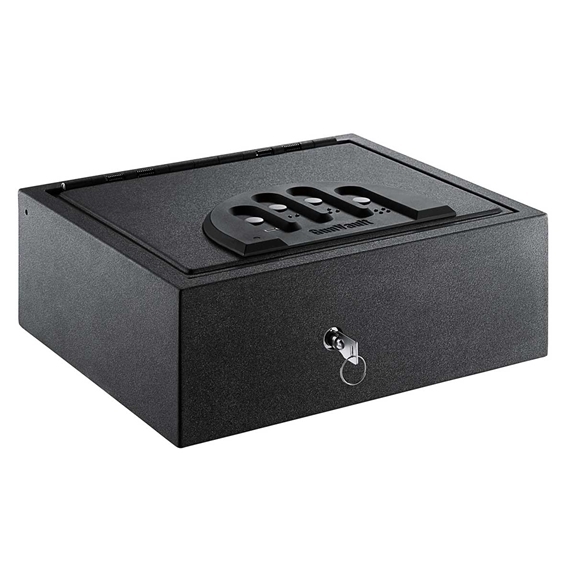 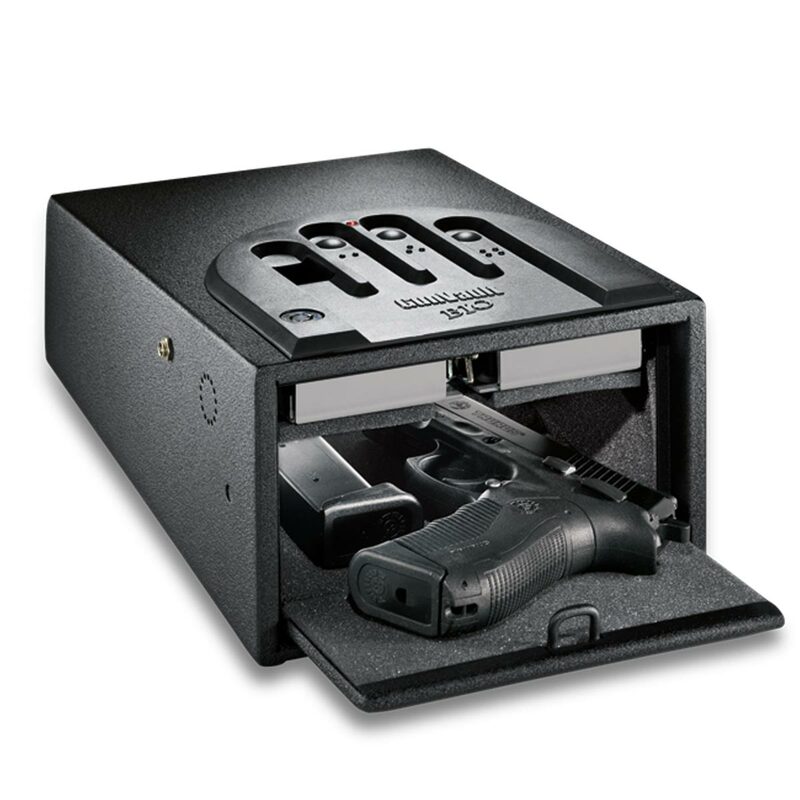 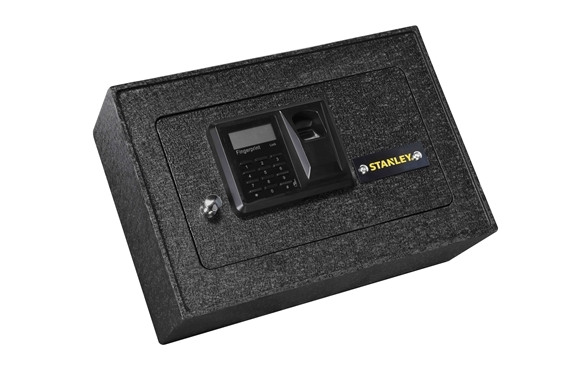 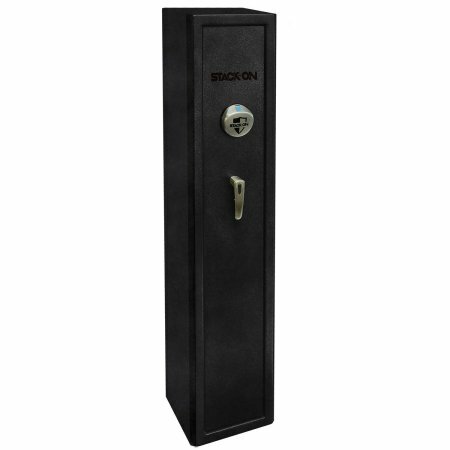 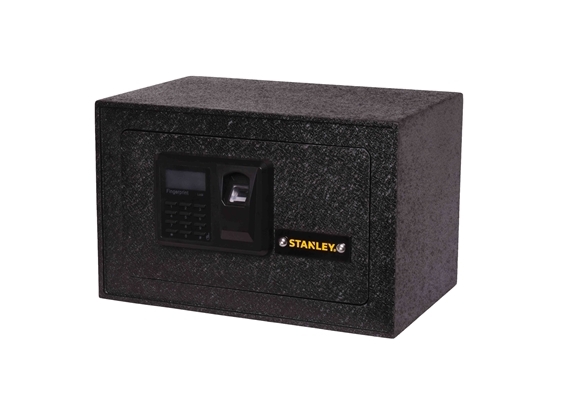 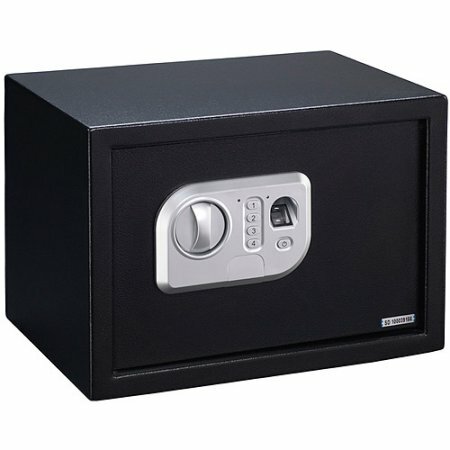 Stack-On 16-Gun Security Safe with Biometric Lock, Steel:16-gun capacity SS-Series safe offers protection of heavy-gauge steel, live-action locking bolts and biometric fingerprint lockNo worries of remembering combinationsInterior accommodates up to 16 long guns in total, with standoffs to store up to 6 scoped rifles.